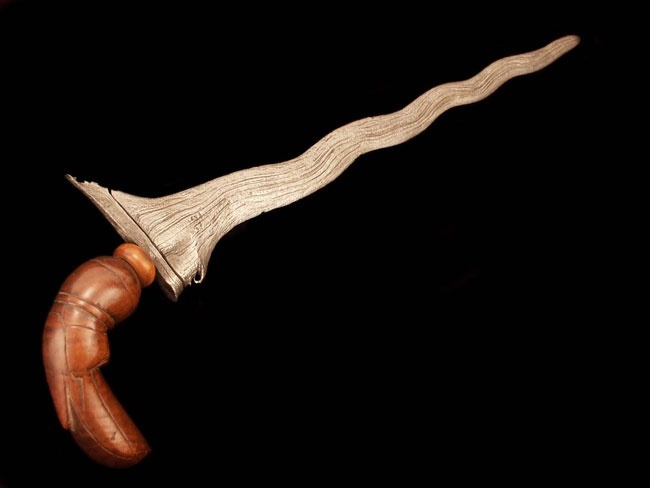 This +1 dagger, when it strikes on a critical hit, buries itself in the victim’s body, assuming the victim is not killed by the blow. The dagger continues to deal 1 point of damage each round, and the victim is considered to be crippled (per the condition). The dagger can only be removed by its owner, after a remove curse or dispel magic is cast, or by making a Bend Bars/Lift Gates task check. 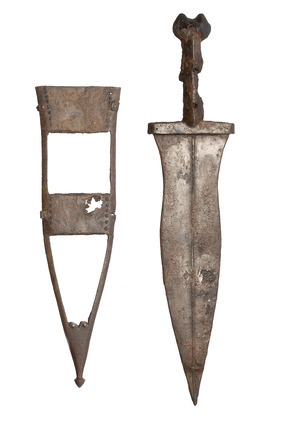 If the dagger is pulled out, it deals a final 1d4 points of damage on the way out. 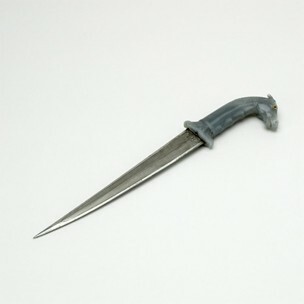 This +2 dagger can absorb one spell of up to 6th level cast in the presence of the dagger. When it does, the pommel glows first a tepid pink (as bright as a candle), then 10 minutes later a rosy red (as bright as a torch), then an hour after that a brilliant yellow (as bright as a lantern). The spell energy must be discharged from the blade to make the glow stop. The energy can either be channeled into a free spells (already prepared or known) of 1st to 3rd level if the dagger’s wielder is an arcane spell caster, or by making a hit with the dagger that beats an opponent’s AC by an amount equal to the level of the spell absorbed. 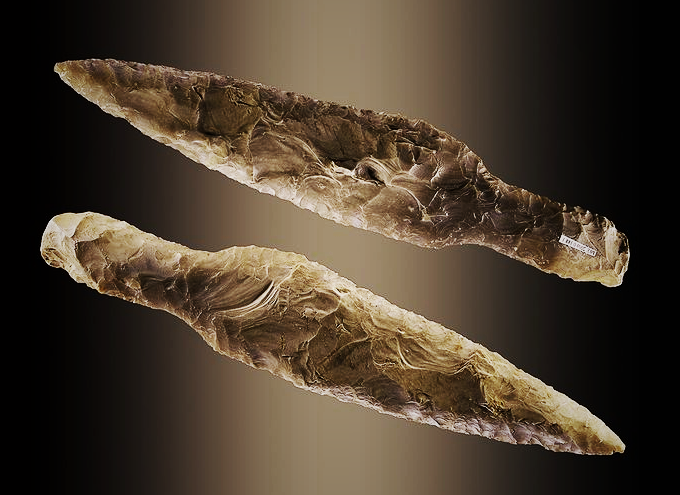 After 12 hours of glowing yellow, the dagger finally leaps from the wielder’s hands and dances, attacking the wielder with an attack bonus equal to 5 + the level of the absorbed spell for 10 rounds. This +2 dagger practically leaps from one’s hands in the presence of Chaotic (Evil) creatures, it is so eager to attack them. The holder, if he or she does not wish to attack, must pass a Will saving throw each round to avoid giving into the dagger’s wishes. If the dagger does kill a Chaotic (Evil) creature, the creature is immediately resurrected with a Lawful (Good) alignment. Neutrals just stay dead. Lawful (Good) creatures killed by the dagger are not reborn, but the dagger’s owner’s alignment immediately changes to Chaotic (CE) and the dagger teleports elsewhere. The owner can only be changed back to their original alignment if they are slain by the Crusader’s Blade. Nice. I'll be using those.